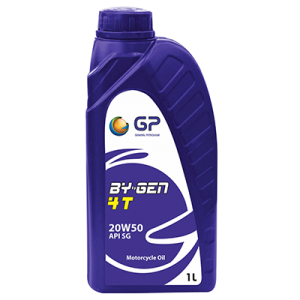 GP BY-GEN motorcycle lubricants are high-performance motor oils developed specifically for motorcycle two and four-stroke engines. It meets stringent requirements of motorcycle manufacturers with large performance reserves. 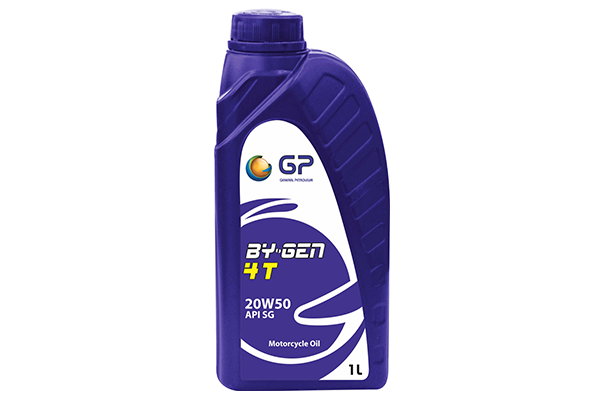 GP BY-GEN motorcycle lubricants are high-performance motor oils developed specifically for motorcycle two and four-stroke engines. It meets stringent requirements of motorcycle manufacturers with large performance reserves. 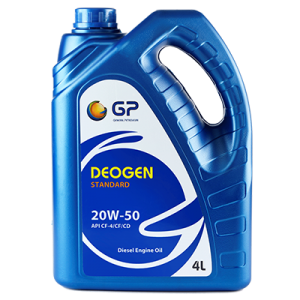 It is suitable for use in all air- and liquid-cooled four-stroke motorcycle and scooter engines. Optimal lubrication of transmissions and clutches lubricated by motor oil circulation is one its highlights. Strong lubrication film and high oxidization stability provide excellent high-temperature resistance. 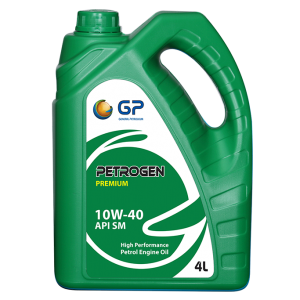 Fast oil supply to all engine parts results in optimal anti-wear properties especially important in this temperature range and in strong, long-term engine protection in short-distance driving and in continuous operation. GP BY-GEN prevents piston and valve deposits as well as slipping or sticking clutches after cold start.